A seamless fusion of impeccable style, comfort, elegance and quality at truly affordable rates - these words perfectly describe Gradshop's top selling High School Graduation Gown, Cap and Tassel Package. Available in both matte and shiny finish, there's sure to be a perfect match to any graduation need. Take advantage of huge savings when you purchase any of our high school graduation packages which include everything you'll need to complete the perfect graduation look. Gradshop has been a trusted name in the graduation business for many years and we've supplied countless numbers of graduates with top quality high school graduation products form the start. 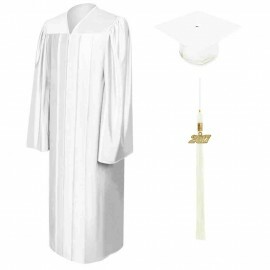 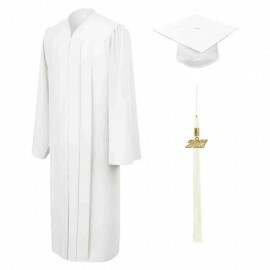 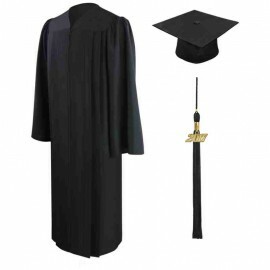 The High school Graduation Gown, Cap and Tassel package includes a stylishly crafted graduation gown made from high quality shiny fabric which assures you of quality, style and comfort. The package also comes with an outstanding graduation cap and a classy tassel complete with your current year signet. What's more, there are 18 vibrant colors to choose from so you get the perfect package regardless of your needs. Get your High School Graduation Gown, cap and Tassel package today!